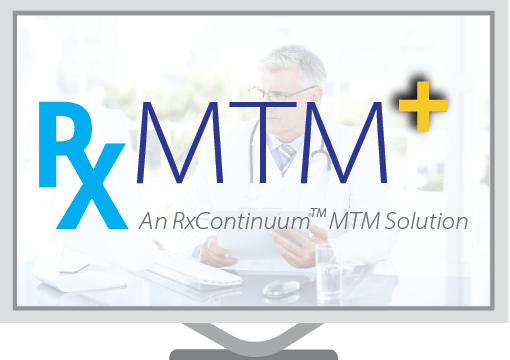 Positioned to address evolving CMS guidelines, RxMTM+ puts the tools at your fingertips to ensure proper patient therapy, save valuable time and money, meet CMS requirements for CMRs & TMRs, and prepare for audits with accessible reporting archives. 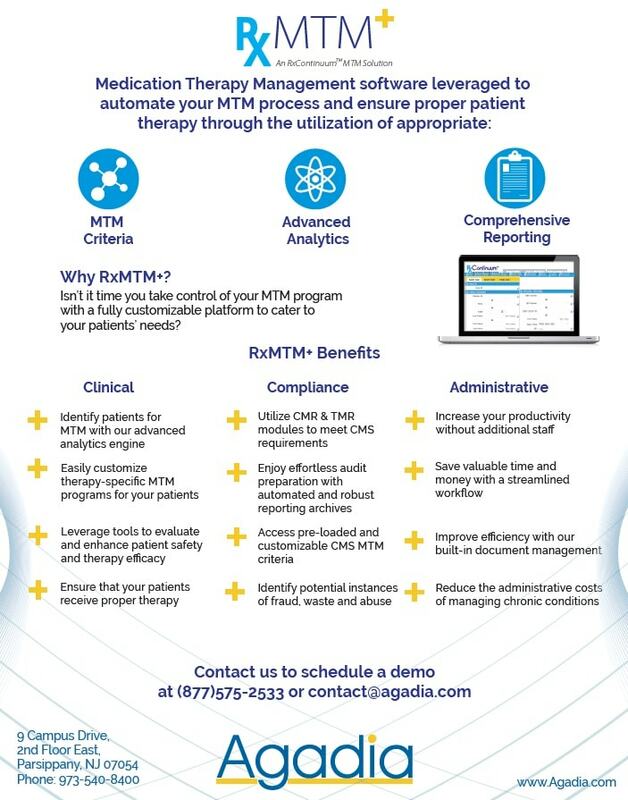 With RxMTM+, you can streamline your workflow and increase productivity while spending less time and energy on identification, preparation, CMR/TMR completion and documentation, which will ultimately impact the quality of care. With the evolving nature and complexity of the healthcare industry, our focus on Medication Therapy Management (MTM) continues to grow exponentially, becoming essential in efforts to improve health care and achieve better health outcomes on reduced costs. Agadia’s solutions provide the nation’s Health Plans and PBMs with leading technology to address the challenges introduced by new regulations and policies surrounding their MTM programs.